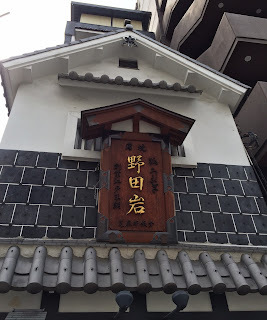 When I was in Tokyo, a friend of mine and I went to Godaime Nodaiwa Azabu Iikura Main Building. 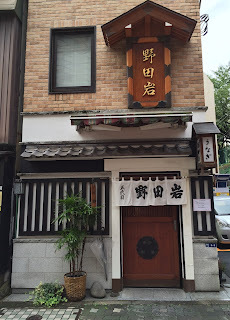 Godaime (五代目) means 5th generation, and this Nodaiwa is a famous restaurant serving eels for about 200 years since they opened this main building in the late 1700s. They take reservations, but if it's a pair of 2, they'll have a table seating at the annex building, not this main establishment. 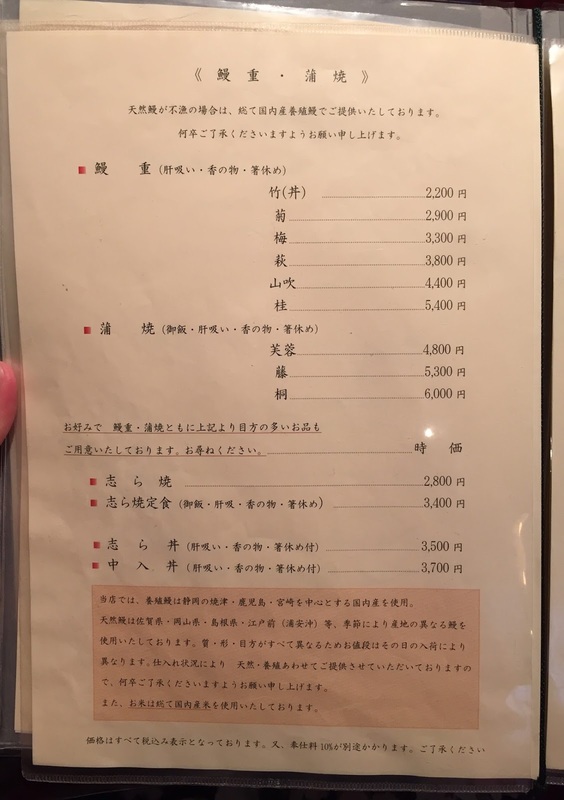 My friend and I decided to go to the main restaurant right after they open the door so that we could get a table. The interior was old folk house style and the materials were from dismantled A-frame from Takayama, Gifu. 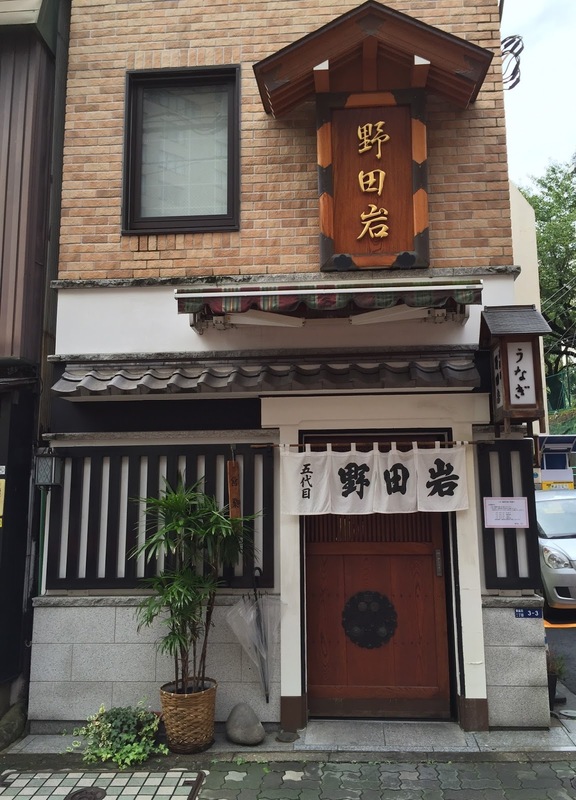 The first floor is filled with tables, 2nd floor has Japanese style rooms and the 3rd floor holds private rooms. * Una-ju (鰻重, うな重) is cooked eels over white rice. 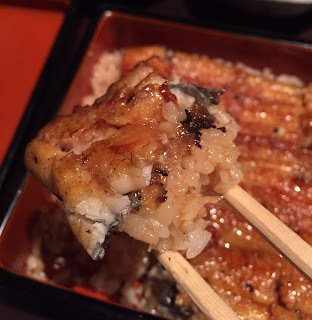 * Kabayaki (蒲焼) is only cooked eels without rice. All the names were greens, flowers and trees, and each has different amount of eels. From the top to the bottom, the amount of the eels is increased. On the sleeve of the chopsticks, it said a rough indication that they use natural eels between April and December. The day we went was in September and they didn't note anything special, so I believe they served us natural eels. 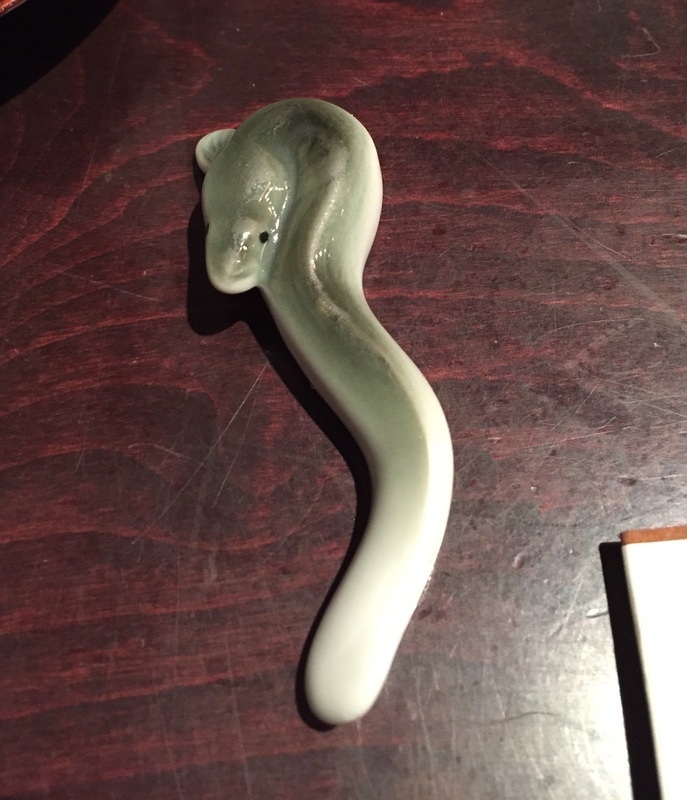 The chopstick rest was an eel shaped china. Then, barley tea was served. I ordered 菊 (Kiku, Chrysanthemum), and the cover of the Una-ju had chrysanthemum flower decorations. Eels were so soft that I could cut with chopsticks, and they absorbed sweet and salty sauce very well. The had fragrant scent as they're grilled over charcoal fire, and they're rich but not too fatty. It's a soup with liver of eel. Grated daikon radish with ponzu (soy sauce with citrus juice). A couple of minutes away, there's the annex.